Vivendi, the multimedia conglomerate based in Paris that owns a controlling 61 percent stake in Activision Blizzard, may be considering a sale of some or all of their shares in the gaming company. Discussions are said to be taking place starting June 22 at an annual three-day senior executive meeting in Corsica, according to people with knowledge of the matter as reported by Bloomberg. It is said that Chairman Jean-Rene Fourtou would want to sell the Activision stake in order to “unlock value from assets he has said are at a discount because of the holding structure at Vivendi.” Vivendi shares are down 28 percent in the past 12 months and the idea to convert some assets into cash looks promising, but not everyone believes it’s in the company’s best interest. Analyst Claudio Aspesi from Sanford C. Bernstein & Co. feels that such a move could be actionable but it also comes with the risk of being a short-term solution to a larger problem. Aspesi brings up a valid point about the decision being a short-term solution. A Vivendi spokesperson told Bloomberg that the Corsica meeting has taken place every year since 2005 and isn’t a platform for quick decisions but rather a forum for exchange and discussion. 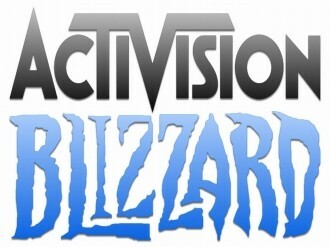 Activision is the company’s fourth largest business and was the second fastest growing asset last year. The gaming company posted sales of $4.76 billion last year, led primarily by the ever-popular Call of Duty franchise.